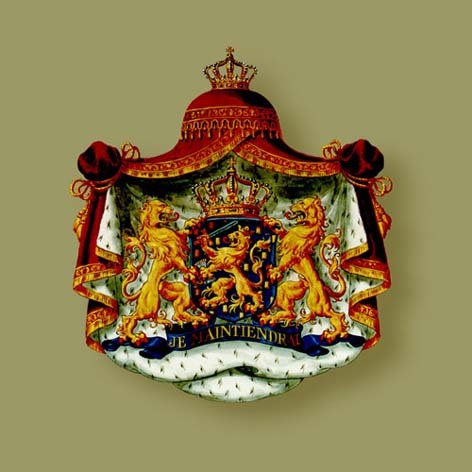 Random Royal News Regarding Their Royal Highnesses Prince Willem-Alexander of Oranje and Princess Maxima of the Netherlands and Her Serene Highness Princess Stephanie of Monaco. Plus, News Regarding Pierre Casiraghi and His New BFF Mr. Adam Hock. After recently dumping their old holiday villa in Mozambique Their Royal Highnesses Prince Willem-Alexander of Oranje and Princess Maxima of the Netherlands decided it was time to buy a new vacay spot in beautiful southern Greece. According to BBC News the royal couple purchased their new $5.9 million villa near the village of Kranidi. Click here to read the BBC News article. Meanwhile, Her Serene Highness Princess Stephanie of Monaco was recently on holiday in Marbella, Spain. The princess was seen enjoying the sites in the lovely Spanish town alongside a mildly handsome dude. At this time it is unknown if this dark haired guy is Princess Stephanie’s new boyfriend or bodyguard. Click here and here to view photos. Her Royal Highness the Princess Royal arrived in South Africa on April 16, 2012, in connection with Her Majesty Queen Elizabeth II’s Diamond Jubilee. On April 16, 2012, Her Majesty Queen Sofia of Spain visited her husband, Juan Carlos the Elephant Killer, at the San José University Hospital in Madrid. This is the first time since the infamous accident that Her Majesty has seen her husband. So why didn’t she see him on the day of his emergency hip replacement operation? She was on vacation in Greece to celebrate Greek Orthodox Easter with her brother, King Constantine of Greece and his family. Basically, she was in no rush to see him. 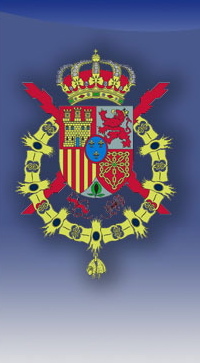 Any way, upon her arrival Queen Sofia was bombarded by the Spanish press. After a brief handshake with some dude Her Majesty bolted into the building. After spending a lengthy 25 minutes with her husband she left the hospital whereupon she decided to make a brief statement to the awaiting press. Meanwhile, the people of Spain are seriously annoyed with Juan Carlos’ behavior. Many are questioning the king’s actions by taking a luxurious elephant killing vacation in Botswana which apparently cost “more than most Spaniards earn in a year” while Spain is in a serious financial crisis. Unemployment is at 23.6 % and the “…youth unemployment rate is at 50%…” according to Reuters. Spanish debt levels are so high that the country may have to ask the European Union to bail Spain out as the EU recently did for Greece. It is not certain, however, whether the EU would be willing to do so (or for that matter able to do so). 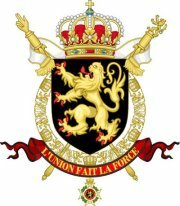 The people are also questioning who actually paid for the old king’s vacation which was organized by his alleged mistress, who accompanied him on the killing trip, Princess Corinna zu Sayn-Wittgenstein-Sayn (Spain’s version of Madame du Berry and whose legs have been spread wide open to many wealthy Europeans over the years. Yeah, I went there. 🙂 Click here to learn more about this chick). And, of course they are furious that Juan Carlos continues to kill innocent animals for fun. According to the Spanish newspaper, El Pais, in 2006 the old king was on a hunting trip in Russia. Apparently, Juan Carlos allegedly killed a beloved bear named Mitrofan who was locked in a cage then given high amounts of vodka mixed with honey. Soon, the bear was drunk and the old king shot the beautiful bear to death. The head of state must choose between his obligations and the duty of service of his public responsibilities, or an abdication that would allow him to enjoy a different kind of life. Internationally, there is a petition being circulated online demanding that Juan Carlos be removed from his position as Honorary President of the World Wildlife Fund (WWF) España. If you are interested in signing the petition please click here. 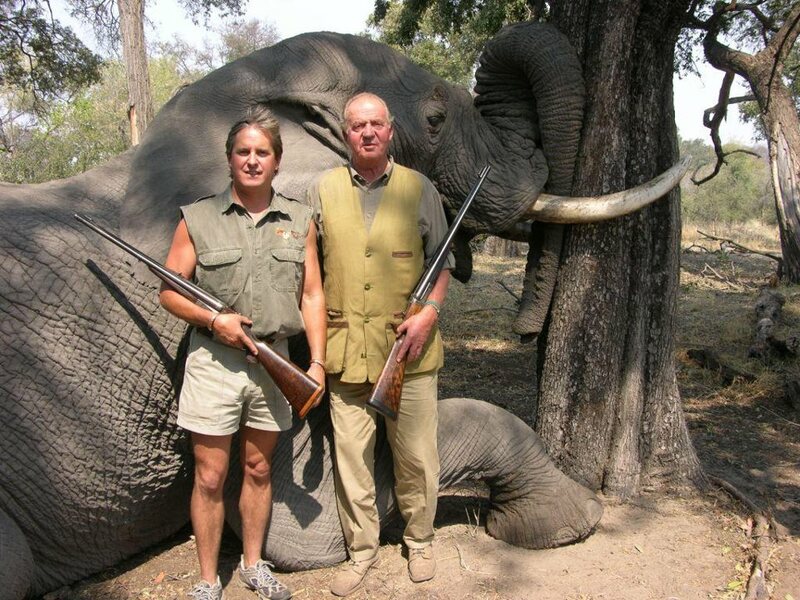 Juan Carlos with his guide posing proudly next to a dead elephant on a previous killing trip. Click the links below to watch videos as well as to stare at photos. Sources: New York Times, Reuters, Los Angeles Times, AFP and RTVE. On April 15, 2012, Their Royal Highnesses Prince Philippe and Princess Mathilde of Belgium hosted two separate dinners in honor of the Secretary General of the United Nations, Mr. Ban Ki-moon and his wife, Mrs. Ban Soon-teak visit to Brussels. The prince hosted his dinner at the Château de Val Duchesse while the princess hosted her dinner for Mrs. Ban Soon-teak held inside the greenhouse at Château de Laeken. On April 16, 2012, Their Serene Highnesses Prince Albert II and Princess Charlene of Monaco attended the 2012 Monte-Carlo ATP Masters Series Tournament in Monaco. The Medal, established in 1939, is awarded to outstanding individuals who contribute to the development of physical education and sports in the principality.